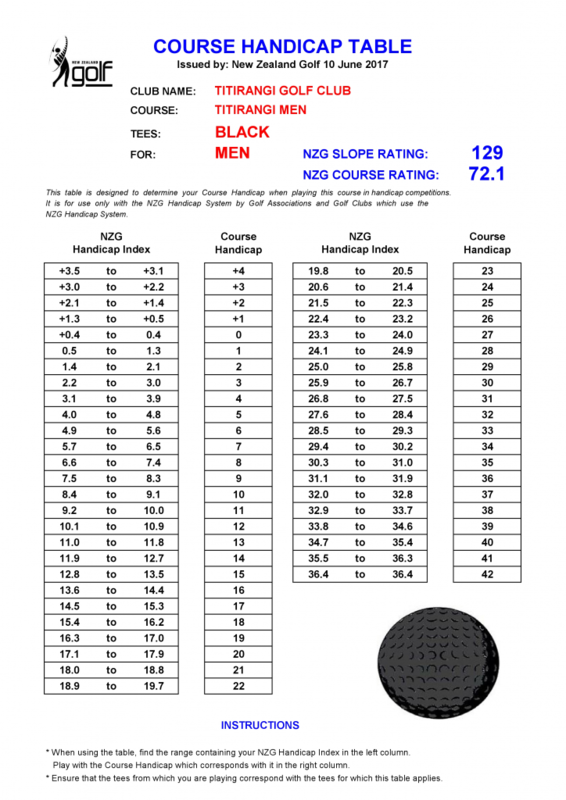 To view course details and photos, please click on the hole number below. 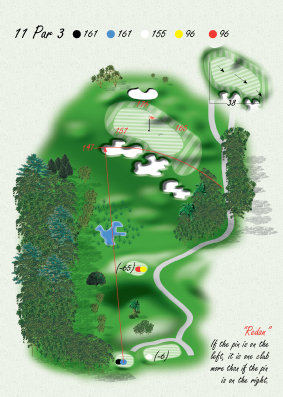 A generous fairway to greet the opening shot of your round with a tee shot over a gully. The ideal line is down the right-hand side over the fairway bunker as this allows the golfer to have the best angle into the green. The player who goes left is faced with a more difficult approach over greenside bunkers. Beware of back-left pin placement as players can be caught out by the speed of the green. Pay particular attention to the pin placement. If the pin is on the right the golfer needs to drive as close as possible to the fairway bunker on the left. In some cases they could actually be in the fairway bunker and be okay. If the pin placement is left they need to drive down the centre or to the right to allow them an angle in. 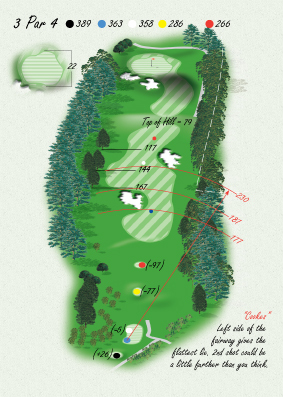 The green is guarded by a pine tree at the front which is why such precision is required on the tee shot. Around the green the player needs to be aware not to miss long or right, otherwise they will be faced with a delicate up and down. 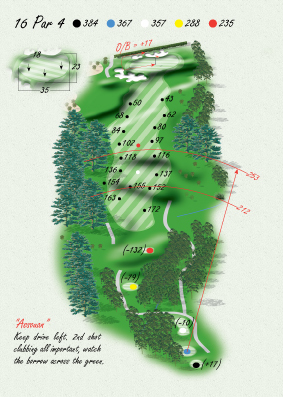 Probably the hardest par 4 on the golf course, it plays slightly uphill from tee to green. The tee shot needs to be hit over the first fairway bunker on the left and this will give a more level lie to an island-type green perched above a gully. 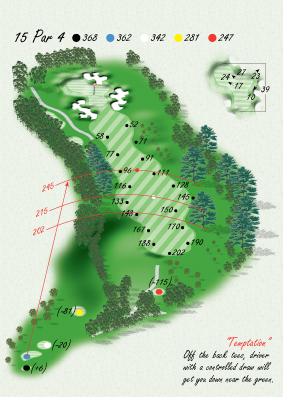 The second shot needs to be precise to hold the green, which is one of the smallest and most severe on the golf course. Only quality shots here will result in a par. 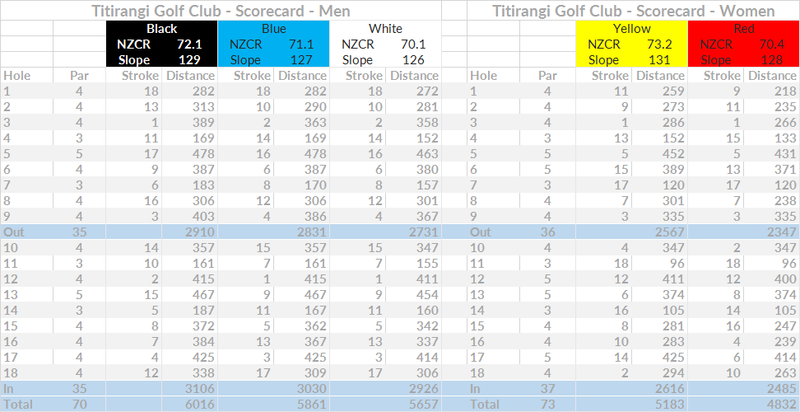 Downhill par 3 that plays one club less than the yardage suggests. The wind can be very tricky here. The best gauge is the flag on the 11th hole (in the distance to the right), if you can see it! 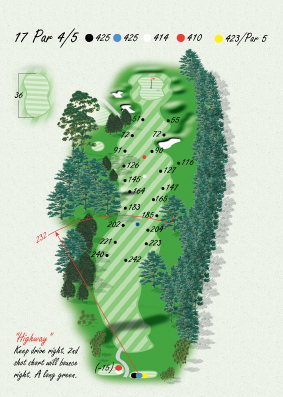 A ball missing the green will require a deft touch to save par. The key thing to this hole is getting the yardage right. The first of two par 5s on the golf course. If you’re able to, your tee shot should carry the right-hand bunker, those that can’t need to play left of it. The longer hitter who can hit the green in two needs to pay particular attention to where the flag is. The better miss is left of the green. 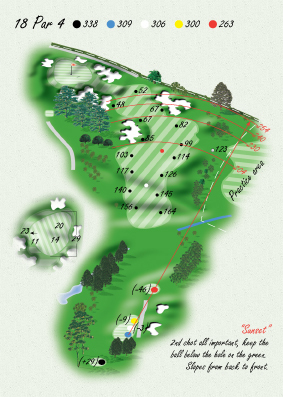 For the player who is intending to lay up, you have to traverse two fairway bunkers at about 135 metres out, favouring the left side will offer the best approach into all pin placements. One of the flattest greens on the course, but don’t take it for granted. A slightly blind tee shot over a hill, use the power pylon in the distance as your target. A steep gully awaits a long tee shot so chose your club wisely. 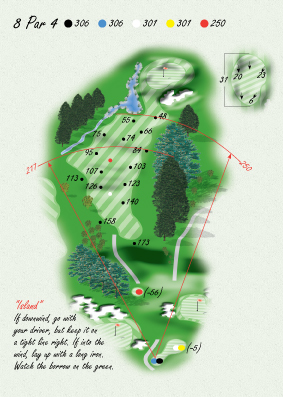 Your second shot plays considerably uphill, so allow one extra club. A back pin placement on this hole is one of the hardest to get the ball close to as the green runs away from the player. Another gem of a par 3 with three separate levels to the green. 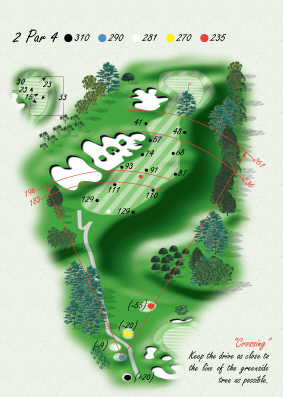 If at any stage the golfer is above the hole they will struggle to two-putt for their par, so the best miss here is short. 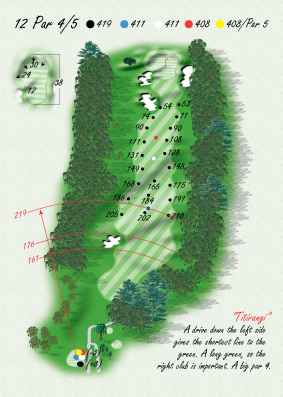 The ideal tee shot is on the left-hand plateau as close to the water hazard as possible as this will offer the flattest lie and gives the golfer the best angles to each pin placement. An approach to the left of the pin will offer a putt uphill. On windy days this can be one of the fastest greens on the course. Keep your tee shot on the left half of the fairway as this will open up the green for the second shot and will ensure the trees down the right-hand side do not come into play. If the golfer cannot reach the green in two, then short and left is the best lay up. A solid iron shot will result in a birdie or par chance. A fairly wide fairway greets. 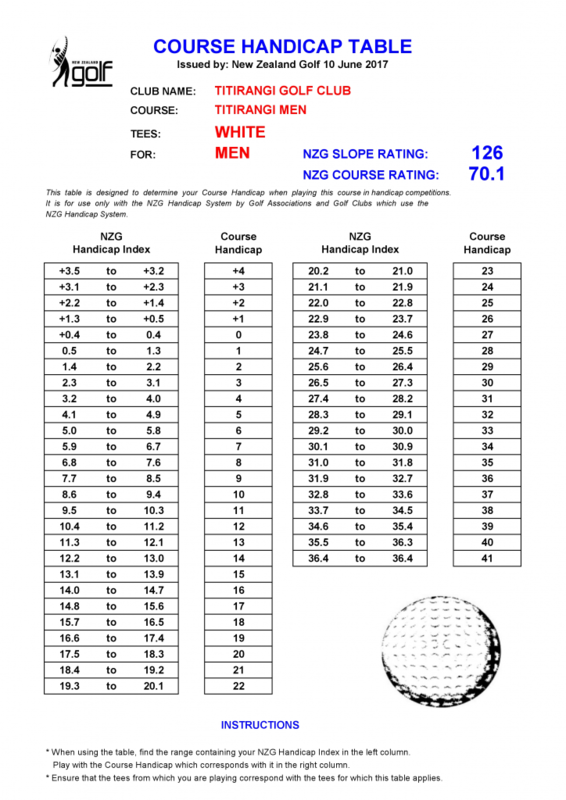 If the hole is played into the wind, a shorter tee shot will give a level lie, albeit with the prospect of having to hit a longer club into the green. Longer tee shots will likely leave a trickier approach shot off an upslope into the prevailing wind. Particular attention needs to be paid to where the pin is, ensuring that you keep the ball beneath the hole. For the shorter hitters play towards Old Man’s Corner as they call it. There is an area to the right golfers can play to which opens up the green and gives the best chip shot up the green to all pin placements. If you dare to go for the flag, make sure you have enough club as a shot to a left pin placement plays half a club longer than to a right-hand pin. 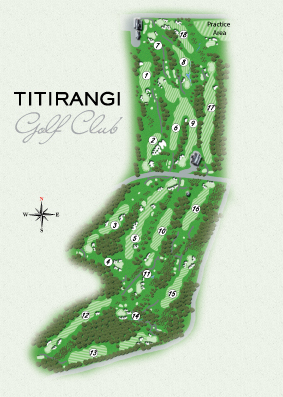 This is arguably the prettiest hole on the course, but don’t be distracted as is the first of three holes that would be considered by Titirangi members to be their ‘Amen Corner’. 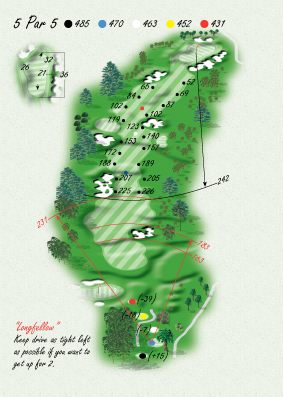 Although only a par-4 it’s a three-shot hole for the higher handicappers which is best played by taking out the fairway bunker about 80 metres short of the green. 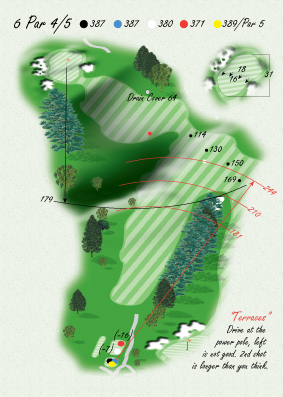 The better player can drive it into the gully roughly 220 metres off the tee and this will leave them a mid to long iron into a narrow but long green. It takes two good shots to find the putting surface here in regulation and par is certainly a good score. 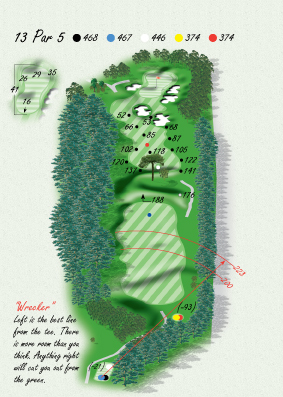 Aptly named Wrecker, primarily because there is a tree in the centre of the fairway over a little gully around the 135-metre mark from the green, so a golfer’s course management needs to be very good here to avoid the tree. For the lay-up, the player needs to get the ball on the left side of the fairway and as far down as possible to allow them to hit a third shot up the line of the green. Favour the right side with the approach as the putting surface slopes from right to left and keep the ball below the pin to leave an easier putt. 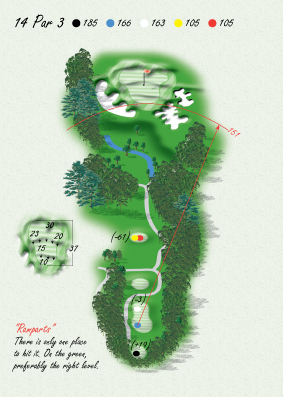 The final challenge of ‘Amen Corner’ conjures up a great par 3 over a ravine, with native bush on both sides making the shot seem a lot harder than it actually is. 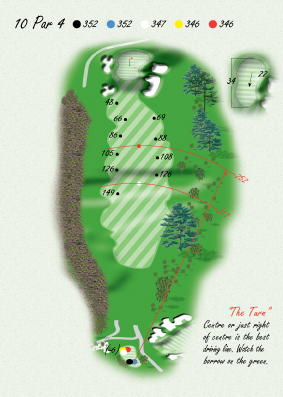 There are five particular zones on the green. 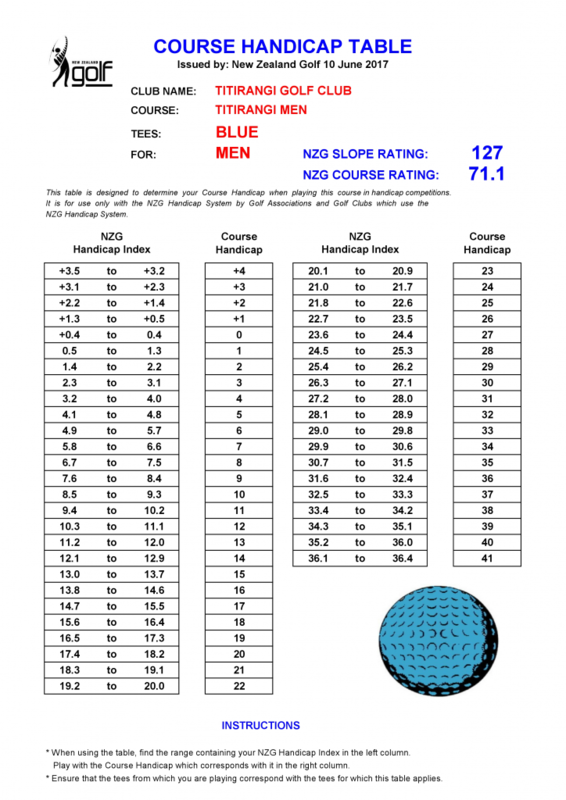 If a player can land the ball on their target zone a relatively easy birdie putt awaits, if you miss your zone your putting or short game skills will be put to the test. Another hole where it’s tricky to pick the wind. 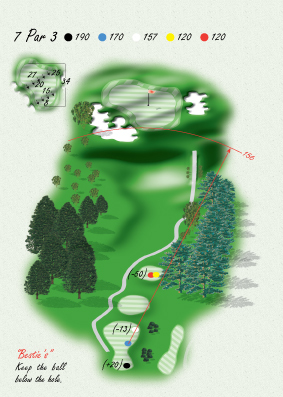 The tee shot is over a ravine and its degree of difficulty depends on how much of this ravine the player wishes to take on. Once this has been traversed the second shot pays slightly downhill to a two-tiered green, with the front tier being higher. 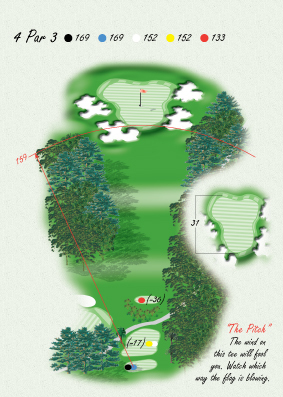 An approach hit to the centre of the green will feed down to a pin placement at the back. If the pin is on the upper tier, check your yardage carefully to the front of the green. Another tee shot over native bush to a wide fairway with natural undulations. The golfer is faced with a second shot to a shallow green with a gully in front, so precision is required to hit the putting surface, let alone get the ball close. 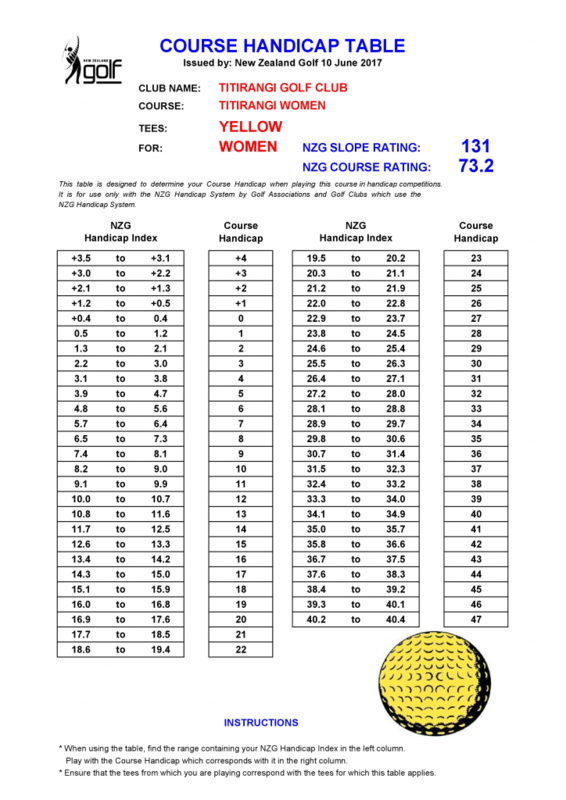 Going long is out of bounds, so even though short is far from ideal it is the preferred miss! A partially blind tee shot which needs to be worked slightly left to right if playing off the back tees. 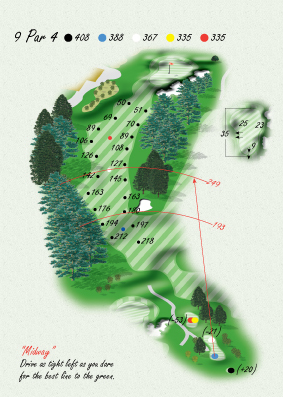 A ball missing the fairway left or right will leave trees to navigate. 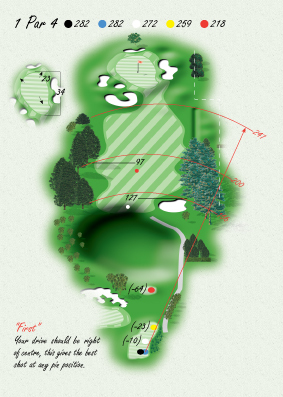 The second shot plays slightly downhill and any ball short will generally tend to roll towards the front of the green. 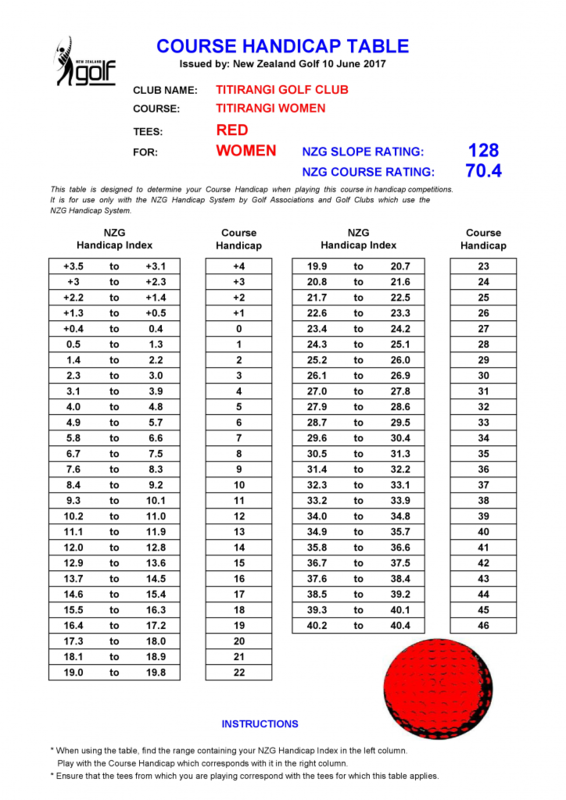 There is not much trouble around the green, so the best place to miss is right, as this offers the easiest up and down. The final test of an invigorating round. Attention again needs to be paid to the pin placement, but in general a drive that finishes as close to the first fairway bunker will offer a good angle for any approach. A two-putt par would be a very satisfying way to close out the round, but don’t drop your guard when on the green as there are some subtle undulations.